Facing the fact that, for whatever reason, many Jews have either not gained access to the ancient spiritual wisdom of their own faith tradition or are unable to translate it into contemporary language and images that resonate with mass appeal, Rabbi Steinberg knew that the faith of his fathers was ready for a new spiritual message. And so he has written it—a message that is both particular to Judaism and uses Jewish language and text as starting points for a view that is universal enough to include spiritual concepts, terms, and expressions from many other spiritual traditions. Paul Steinberg is a rabbi and educator at Congregation Kol Shofar in Tiburon, California. He speaks and consults nationally on mental health and addiction issues in the Jewish community and has written many articles, as well as five books, including Study Guide to Jewish Ethics; Recovery, the 12 Steps, and Jewish Spirituality; and Celebrating the Jewish Year, which won the National Jewish Book Award. Lots of books tell us we can achieve great illumination through meditation and other spiritual practices. This book tells us how. and understanding, Paul Steinberg draws on Jewish teachings and religious practices to guide us toward an enriched inner life and ways to achieve deeper connections to friends and community. This is a book that inspires and illuminates! ​a spirituality that is wide, open, and wondrous. 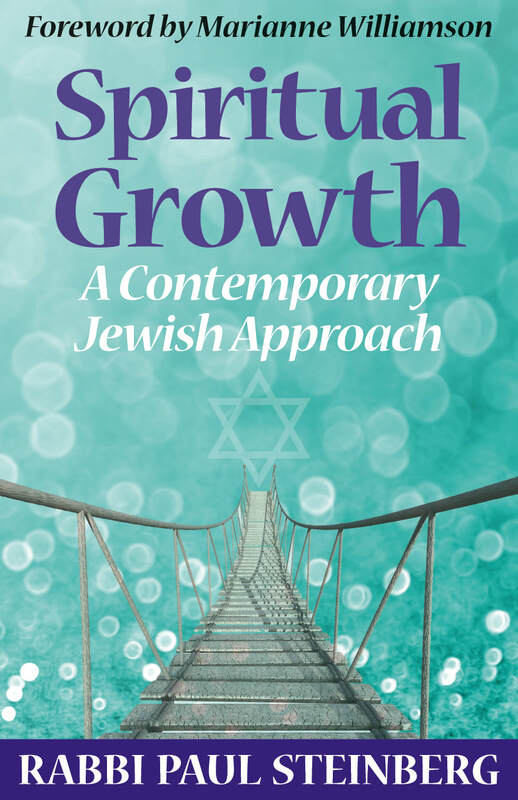 Rabbi Steinberg articulates a vision for spiritual growth that is grounded and accessible. By envisioning “spirituality” as a process of personal integration and transformation, he provides a step-by-step guide that is attainable for people who are beginners in exploring inner work as well as more-experienced seekers who are looking for an authentic pathway within Judaism. Inspired by his own journey as a seeker and Jewish scholar, Paul Steinberg reveals how ancient Jewish teachings and spiritual practices can provide a powerful force for personal healing and integration. Rabbi Steinberg helps us remember to not only look up but also inward—and that the spiritual pursuit is a journey that takes effort and time. He is a voice of our ancestors, and, like our tradition, his writing transcends the moment. He speaks to the timelessness of human longing for a connection with the Divine. With vulnerability, humility, and intellectual rigor, Steinberg shows us that Judaism offers us a powerful response to this complicated life, and that we can go on with faith, hope, and God.